Rapper and actor Tip "T.I." Harris is back in custody. Grammy-winning rapper T.I., who was freed after months in prison, was back in federal custody Thursday because of a flap over his use of a luxury bus to report to a halfway house, his lawyer said. Steve Sadow told The Associated Press that the Federal Bureau of Prisons "has moved T.I. to a different facility" because of an issue involving the rapper's 375-mile trip Wednesday from the Arkansas lockup to Atlanta in a gleaming motor coach. He did not elaborate on the exact nature of the problem federal authorities had, but said it was not drug-related. He said they are trying to resolve the problem. T.I., whose real name is Clifford Harris, traveled with an entourage to check into the halfway house, stepping off the bus clad in a red and blue striped polo shirt and white shirts. "There appears to be confusion surrounding the method of transportation," Sadow said. Federal authorities had no further information late Thursday night where Harris was taken. Traci Billingsley, a spokeswoman for the Federal Bureau of Prisons, told the AP that she couldn't comment on the rapper's status or his immediate whereabouts. T.I. had initially served about seven months at the prison in 2009 after he was arrested for trying to buy unregistered guns and silencers from undercover federal agents. He was on probation after he was released and ordered not to commit another crime or to illegally possess any controlled substances. He was arrested again in September 2010 in Los Angeles on drug charges after authorities said he was found with four ecstasy pills. He was sentenced in October to 11 months in prison for that violation, and had been set for release at the end of September but was let go early. The prison agency's website said late Thursday night that Harris was "in transit" but didn't say where. T.I. had left the Forrest City low-security prison and was driven in the bus with dark-colored windows, followed by four other cars. "The storm is over&da sun back out. IT'S OUR TIME TO SHINE SHAWTY!!!!!" the rapper posted on Twitter shortly after his release. "Welcome to the beginning of our Happy Ending!!!!" It appears a flock of cameras will follow T.I. regardless of where he goes next. 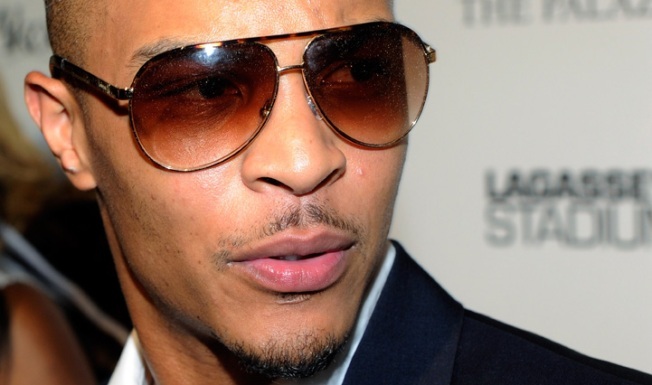 VH1 said Wednesday that the network was filming T.I. 's journey home from jail and would debut the show in December. MTV aired a similar reality show on the rapper in 2009 called "T.I. 's Road to Redemption: 45 Days to Go," which chronicled his attempts to help others avoid his mistakes. T.I. has also finalized a book deal. A representative from HarperCollins told AP that T.I. has written a book called "Power&Beauty" that's set to be released in October. The novel, which was co-written with David Ritz, is a fictional tale about two childhood friends torn apart by dangerous dealings on the streets of Atlanta.